The independent city-state of the Vatican (Città del Vaticano) was founded in accordance with the Lateran Treaty between the Italian State and the Roman Catholic Church in 1929. It is located on the right bank of the Tiber river in the western part of Rome. The Vatican is the smallest republic or sovereign nation in the world and it houses all the highest governing bodies of the Roman Catholic Church, including the residence of the Pope. Its area is only 0.44 square kilometers or 0.17031 square miles. Today, the population is multinational and consists of about 900 people. 2 Is Vatican City a country? The name of the city-state came from the name of the hill on which it is located – Vaticanus. The perimeter of the Vatican’s territory is surrounded by medieval walls. Within the city-state are religious and cultural sites such as St. Peter’s Basilica, the Sistine Chapel and the Vatican Museums. They feature some of the most notable paintings and sculptures. Talking about the creation of the Vatican Republic, the Pope used to rule the Papal States, which included most of Italy. Catholic popes tried to stop Italy from becoming one country because they feared to lose the control of at least one of the Papal States. In 1861, Italy was unified under the King of Savoy, but Rome and Latium remained unconquered. On September 20, 1870, Italian troops invaded and Rome became capital of the new kingdom. In 1929, Benito Mussolini decided to sign an agreement with the Holy See, called the Lateran Treaty, which established the Vatican State. On the territory of the Vatican are the palace complexes, the Vatican Gardens, art galleries, museums and various administrative buildings. Also, the border with Italy passes through the St. Peter’s Square. However, it is not marked on the ground. Another important information is that by the principle of extraterritoriality, some objects located on the Italian side belong to the Vatican. These include the Basilica of San Giovanni in Laterano, the radio station Santa Maria di Gallery, and the summer papal residence in Castel Gandolfo. In addition, several educational institutions are also subordinate to the Vatican. Among them, the University of Pope Urban, founded in 1927, the University of St. Thomas Aquinas, founded in 1909, and several others. 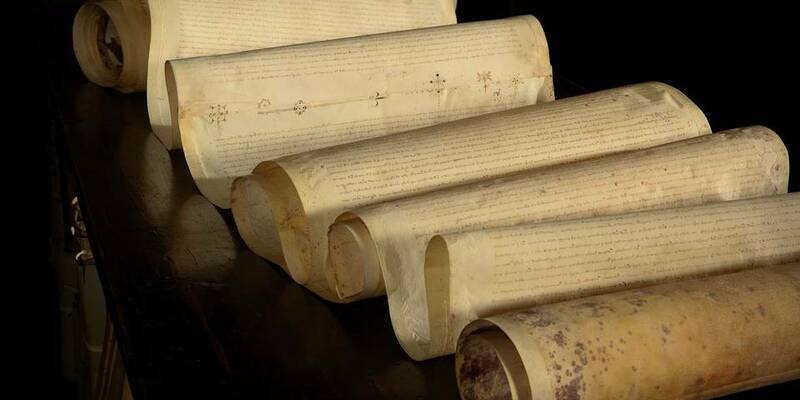 The Vatican Secret Archives (Archivio Segreto Vaticano) is the central repository in the city-state for all the acts manifested by the Holy See. Each Pope is considered the owner of the archives until his death or registration, with ownership transferring to his successor. The archives contain documentaries as the state papers, papal account books, correspondence which the catholic church gathered for centuries. In the 17th century, Pope Paul V ordered the separation of the Secret Archives from the Vatican Library, where scholars had limited access to them. In 1881, Pope Leo XIII opened the access to researches and thousands of them examine some of these documents also today. Tourists can’t go inside, but there are many documentaries with the virtual tour to the archives. These hidden archives are not secret in terms of information despite of its high security measures. When you translate from Latin, more precise meaning will be “private” archives, indicating to the Pope’s personal property. However, parts of the materials prohibited for outside viewing relate to contemporary personalities and private records of church figures after 1922. Many conspiracy theorists claim that the Archives contains correspondence between St Paul and Emperor Nero pertaining to Jesus’ existence. Also, some of them believe that the Vatican may be hiding proof that Jesus did not exist. Another interesting theory is that there is an evidence of an alien life form, where the Pope is conspiring with aliens to implant the humanity with computer chips. Also, documents that testify to the unprecedented Armenian genocide by the Ottoman Empire after the First World War stored there. Such fiction works as “Angels and Demons” by Dan Brown tried to open the topic of the Vatican Secret Archives’ myths. The Holy See (Santa Sede) is the ecclesiastical jurisdiction of the Catholic Church in Rome. It is the main reference for the Catholic Church everywhere. Moreover, The Holy See is an independent sovereign entity which holds the Vatican City enclave in Rome. The main responsibility of it is to maintain diplomatic relations with other states. In addition, it is some kind of an analogue to a state while administered by the Roman Curia. The Vatican City is the capital of the Vatican City State located in Rome, Italy. Its iso code 3166-2 and the city code is 379. The Vatican is the smallest country in the world, which is also known as the Holy See. The citizenship is acquired only by special kind of people as high-ranking hierarchy and staff living here. It is extended to permanent residents of its territorial possessions and diplomats within its embassies. It is not easy to get the passport of the Vatican at all. Moreover, all popes throughout the history were chosen wisely according to the criteria by which they will manage to control the holy area. The world’s tiniest sovereign state has its own pharmacies, fire station, shopping center, etc. The Vatican’s population increased during the last several years. For instance, in 2011, the number of people who lived in the country was 595, including the Pope. Today, of the more than 800 residents, over 450 have Vatican passport and citizenship. There are many different nations and each citizen has a dual citizenship. 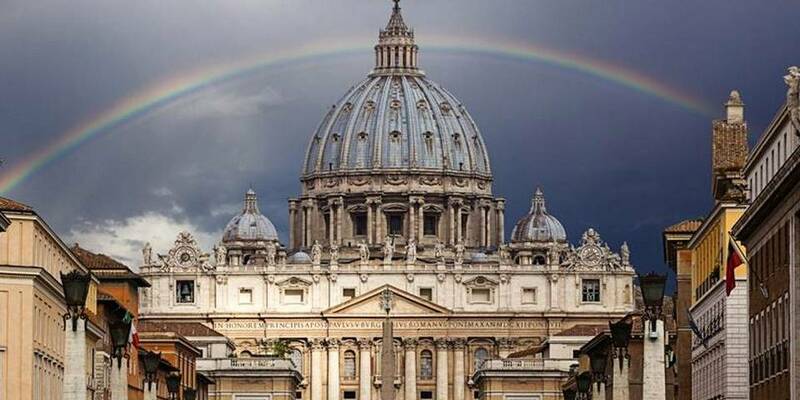 The Institute for the Works of Religion (Istituto per le Opere di Religione), also known as the Vatican Bank, is a private bank located on the territory of the Vatican City and run by a Board of Superintendence, which accounts to a Supervisory Commission of Cardinals and the Pope. Its president is Jean-Baptiste de Franssu. Moreover, the institute was established by papal decree of Pope Pius XII in 1942. According to the history of Roman Empire, Leonine City is the part of Rome around which located the 19th century Leonine Wall on the opposite side of the Tiber river. Pope Leo IV commissioned the construction of the wall and the Vatican City is within this enclosed area. The wall was built in 846 year and is dimensioned 14 m high with 44 towers. However, Leonine City also contains the Roman rione of Borgo, which is more extensive than the Vatican. From the side of St Peter’s Basilica, the wall doesn’t exist, and the territories are divided only by lines. So, visitors have access to the entry into Vatican borders. 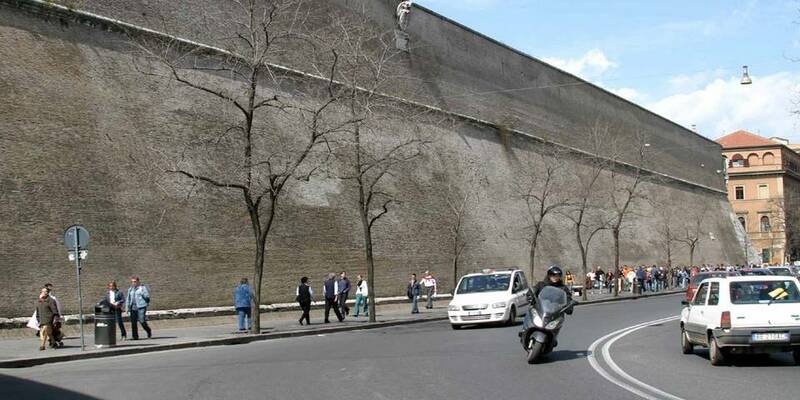 The wall’s dimensions are impressive, you can notice it while walk along streets near the Vatican area. Moreover, despite the fact that Rome is full of graffiti lovers, there are no “amateur paintings” along this wall. The radio of the Vatican broadcasts in 45 languages. Also, it has an international sound of all Pope’s live ceremonies, including General Audience, Sunday Angelus, pontifical ceremonies and other major events. Its main institutional task is to record, translate and distribute the sound of all the Pope public activities and local news. Of course, it services also in English, Italian and Latin, as three main languages and you can find the radio records online and in radio’s Facebook. However, Vatican Radio’s English shortwave broadcast to Asia doesn’t operate anymore, after almost 60 years of serving. L’Osservatore Romano is the newspaper of Vatican City with news, editorials, digital archives. It is the daily newspaper of Vatican City State with Pope’s discourses and reports on the activities of the Holy See and contains many cultural articles. It has several sections: Holy Father, Roman Curia, News Services, Vatican City State, Liturgical Year, and Liturgical Celebrations. The flag 🇻🇦 of Vatican City was accepted in 1929, the same year when the Lateran Treaty was signed with Italy. The flag is modeled on the one of the earlier Papal States. 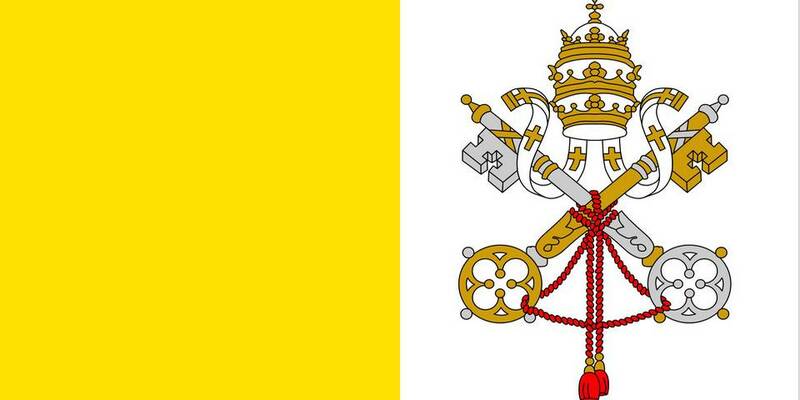 It consists of two vertical bands: yellow (gold) and white with the crossed keys of Saint Peter and the Papal Tiara in the center of the white band. Pope Nicholas V established the library of the Vatican in 1448. He combined 350 Greek, Latin and Hebrew codices inherited from his predecessors and his own collection. The Biblioteca Apostolica Vaticana was officially established in 1475. There are more than one million books and the same number of manuscripts in the library of the Vatican. 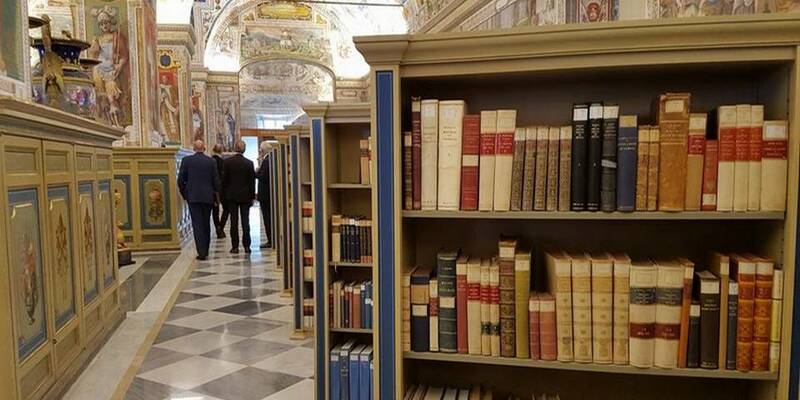 Undoubtedly, the Pope has a right to take any book he wants for an unlimited period, while for other people there is quite limited access for the entrance. The library contains online manuscripts catalog. One can find in its books and archives many secrets of the world’s history events. The library addresses on the territory of the Vatican State. 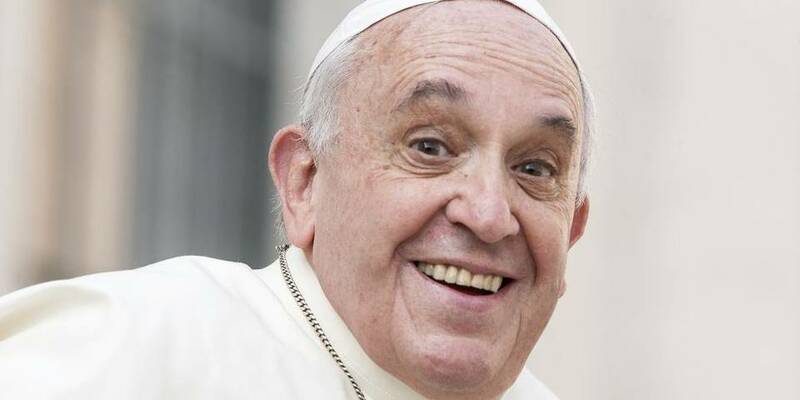 The Pope is the head of the church or as many people say, “King of the Vatican City” and heir to St. Peter – the most important symbol of Catholicism for more than a billion believers around the world. He is also the “general director” of the church, responsible for the order within the organization, existing for 2000 years. Finally, he manages the Vatican, a state – the property of the church, which is a huge responsibility. Each Wednesday and Sunday, you can come to the St Peter’s square to have a unique opportunity of seeing the Pope at the Vatican. Of course, the Pope lives in the Vatican. A papal conclave is a meeting of the College of Cardinal dedicated to elect the Pope (a bishop of Rome). 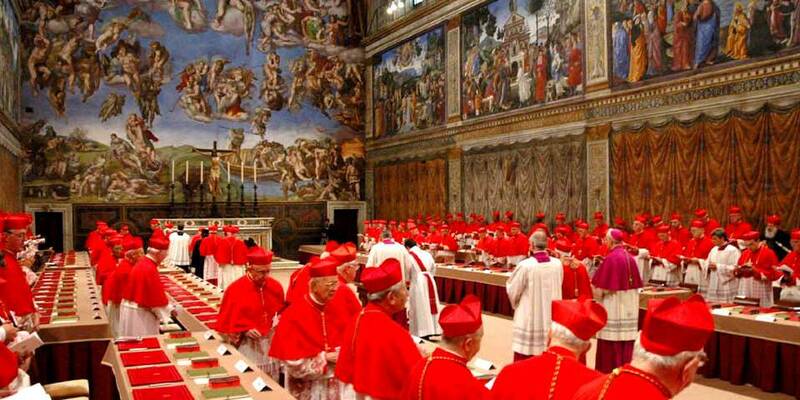 Traditionally, if the meeting of cardinals comes to the final opinion, there is a smoke from the pipe of the chapel which goes from the burning bulletins. If the decision is not made, the color of the smoke is black, but when the new pope is elected, the color of the smoke is white. One of the most interesting facts about the papal conclave is that the longest papal election lasted for three years. It was in the 13th century, in the Italian town of Viterbo because previously, elections took place where the last pope had died. It took 2 years and 9 months to choose a successor to Clement IV. Gregory X was finally chosen as the new pope in 1271. Papal infallibility is a dogma of the Catholic Church. It states that in virtue of the promise of Jesus to Peter, the Pope can’t make an error since he is preserved from it. This doctrine was defined dogmatically at the First Ecumenical Council of the Vatican in 1870. When looking at a catechism (a summary of the principles of Christian religion in the form of questions and answers) with the great number of doctrines, most of the, have never formally been defined. For example, there are many topics on which it would be impossible for a pope to make an infallible definition without duplication one or several infallible pronouncements of the Church. The first Pope is considered Saint Peter, also known as Simon Peter of Cephas. He became one of the Twelve Apostles of Jesus. There is a belief that he had authority over the other apostles. The Roman Catholic Church states that after the recorded events of the book of Acts, the Apostle Peter became the first bishop of Rome. 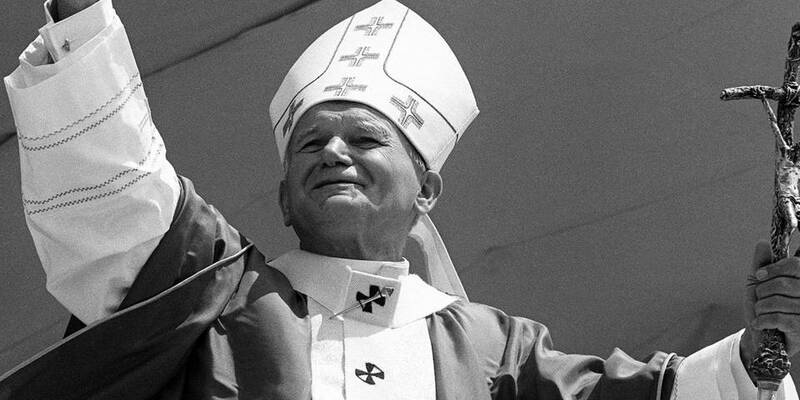 Starting from 1978, Pope John Paul II (1920-2005) was the first non-Italian pope in more than 400 years. He was born in Wadowice, Poland. Moreover, he was a vocal advocate for human rights and effected political changes. Pope Benedict XVI served as Pope from 2005, after John Paul II, until his resignation in 2013. In 1951, he ordained as a priest in Bavaria, his homeland, and became a full professor in 1958. For a long time, he was an academic and professor of theology at several German universities. Later, Ratzinger was appointed Archbishop of Munich and Freising and Cardinal by Pope Paul VI in 1977. On June 29 2016, Pope Benedict appeared in public for the 65th anniversary of his priestly ordination. Pope Francis is the 266th and current Pope and sovereign of the Vatican. He became new pope starting from 28th of February 2013, when a papal conclave elected him as the successor of Pope Benedict XVI. 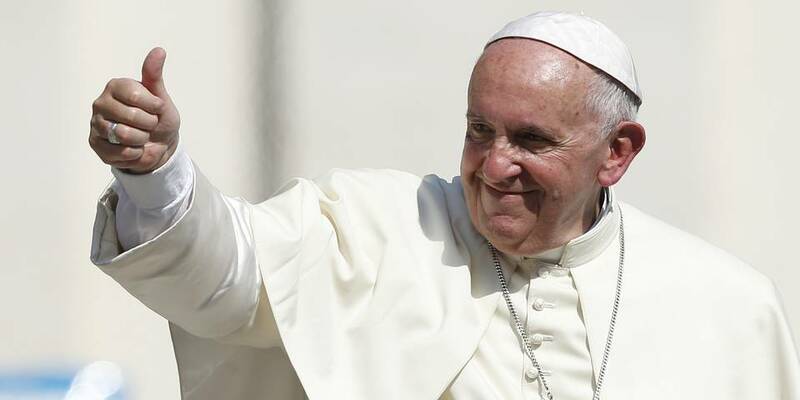 Jorge Mario Bergoglio chose Francis as his papal name in honor of Saint Francis of Assisi. The story of Swiss Guard starts from 1506, when it was founded by Pope Julius II (Giuliano della Rovere), who was very fond of the Swiss army. For his protection, he ordered 150 Swiss soldiers. Julius II, nicknamed among the militants as the Fighter, even sent the Guard to battle with the French who occupied Italy before its unification. The Guard was almost destroyed during the rout of Rome by German and Spanish mercenaries, sent by King Charles V in 1527. During the storming of the Vatican, while defending it on the steps of St. Peter’s Cathedral, 147 guardsmen were killed. It was 3/4 of the newly enlarged staff, including their leader, along with his wife, who saw her husband’s death and took her own weapon to fight until she died at the entrance to the basilica. The surviving guards helped Pope Clement VII and the thirteen cardinals safely escaped to the Castle of Saint Angel. Stunning brown suits were invented by a Vatican seamstress by the order of Benedict XV in 1914. Most likely for the development of such original uniform, she was inspired by one of the images of Raffaello Santi. On the anniversary of the Vatican’s heroic defense on May 6, 1527, were solemn ceremonies for new members to join the Guard who took the oath of allegiance to the Pope. Candidates for guardsmen must be from 18 to 25 years old and about 180 centimeters tall. Once enrolled in the composition, recruits learn to battle with swords and halberds, just as their predecessors. 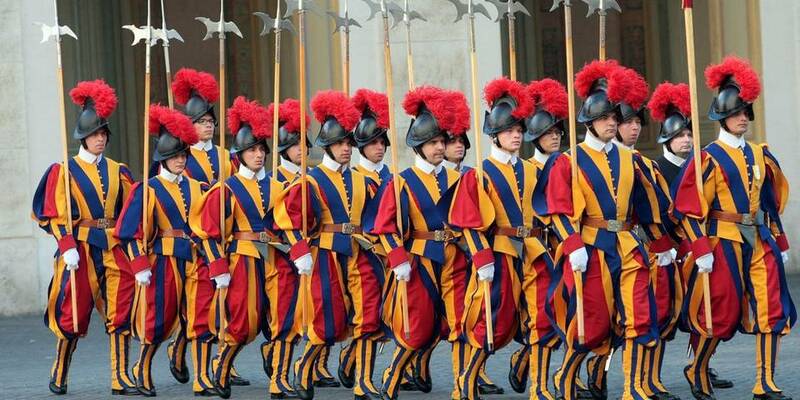 During the patrolling of the Vatican, the Swiss Guard does not carry firearms. This prohibition was introduced by Pope Paul VI in 1970. To protect the capital of all the apostles, only halberds are used. In addition to the honorable profession and a very prestigious entry in the workbook, the guards receive a very decent salary, which is about 4000 euros per month. 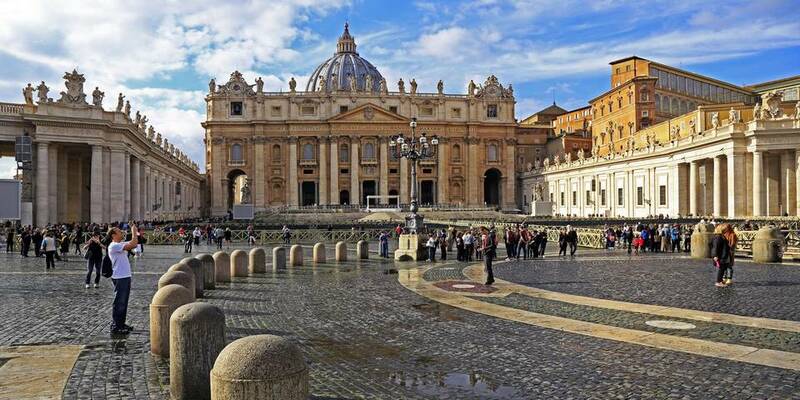 The Vatican City State is one of the most famous destinations among travelers from all around the globe. There are approximately 30.000 visitors in a day. Don’t forget that if you are going to visit the Vatican museums, the Sistine Chapel, Gardens, the dome and St Peter’s Basilica, you should follow opening hours, where morning time is the best one because of fewer number of tourists. 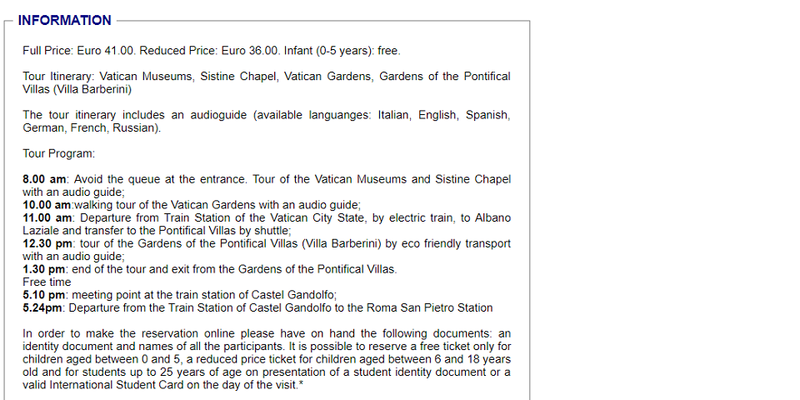 You can book tickets online in advance on the official website of the Vatican with the reservation fee of 4 euro. Moreover, you don’t have to pay for visiting of St Peter’ Basilica since there is no entrance fee. The entrance location to the basilica is on the right side of the St. Peter’s square. 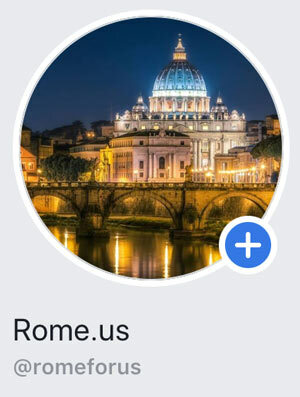 Also, it is always better to take a tour to the Vatican with licensed tour guide, who will explain you everything about this powerful city-state, its art objects, life of locals, most popular jobs and events. In addition, there are lots of stores where you can buy different souvenirs related to the Vatican. The Vatican Museums house impressive collections of art, ethno-anthropology, and archaeology collected by the Popes over several centuries. Also, there are some of the Apostolic Palace’s most historically important and artistically valuable rooms. As part of the museums, the Sistine Chapel was built by the architect Giovannino de’ Dolci at the end of the 15th century by order of Pope Sixtus IV. 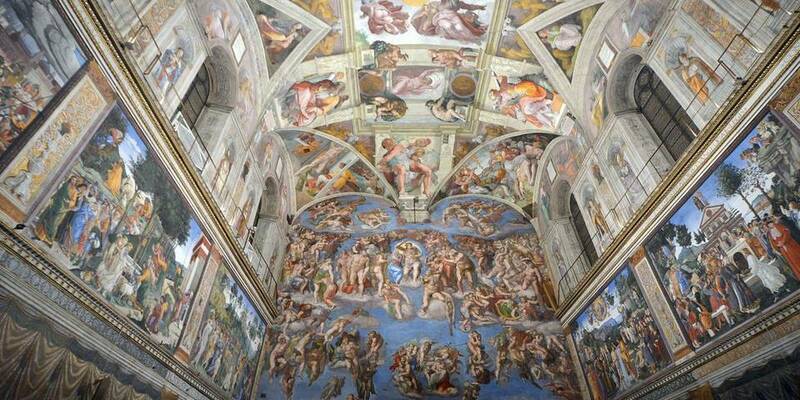 Inside, the dome of the chapel is painted with famous frescoes by Michelangelo. Also, the Sistine Chapel is always open to visitors, except for the time when the procedure of electing a new pope is in the process. There are wonderful frescoes in the Sistine Chapel with lots of small details. Masses with the Pope take place in St. Peter’s Basilica, in St Peter’s Square or both together depending on the kind of celebration and the number of visitors. However, most of the masses are celebrated at St Peter’s Basilica because of its huge capacity of more than 15 thousand of attenders. The Holy See issues various types of tickets for St Peter’s Basilica Masses as tickets for Cardinals, Governors and Diplomats, Bishops, Priests, special guests and public tickets. Thus, for most of these masses you will need to have a ticket, which is always free of admission. However, masses at the Square host up to 80 thousand of visitors and you don’t need a ticket to visit any of them. Papal audiences take place on Wednesdays and Sundays. You can check the schedule on the official website of the Vatican. Mass cards are available during each mass. The unique monument of the Renaissance and an embodiment of Vatican’s wealth in the square is St. Peter’s Cathedral, built according to the project of Donato Bramante. The facade of the cathedral was designed by Carlo Maderna. Furthermore, the Cathedral of St. Peter crowns the creation of Michelangelo Buanarroti. In addition, St. Peter’s Cathedral was recognized as the greatest creation of world architecture. To go inside the basilica you don’t have to pay. We recommend the Tour to St Peter’s Basilica and the Castle of St. Angel at sunrise with climb to the dome of St. Peter’s Cathedral where you will skip lines and discover the city during the most beautiful daytime with the nicest views. Every year thousands of tourists and pilgrims travel to the Vatican. All of them want to receive the papal blessing and see unique monuments of architecture and history. The twenty-five-meter Egyptian obelisk rises in the center of Rome’s largest square, St. Peter’s Square. Visiting of the Vatican is one of the “must-see” during tour trip to Rome. However, you should follow timing for not to spend the whole day in the crowd of tourists, so it is better to visit the city-state at sunrise. Moreover, bigger part of the city-state’s territory has limited access and regular tourists can’t go inside and explore destinations where citizens live. There are lots of official tour services directly on the square. The size of the area is 340 by 240 meters. Moreover, the colonnade around the area consists of 284 columns created by Giovanni Lorenzo Bernini. Talking about the façade of the square, it is 114.69 meters wide and 48 meters high. It has an order of Corinthian columns and pilasters with an imposing cornice with a central tympanum, crowned by a balustrade with thirteen statues. 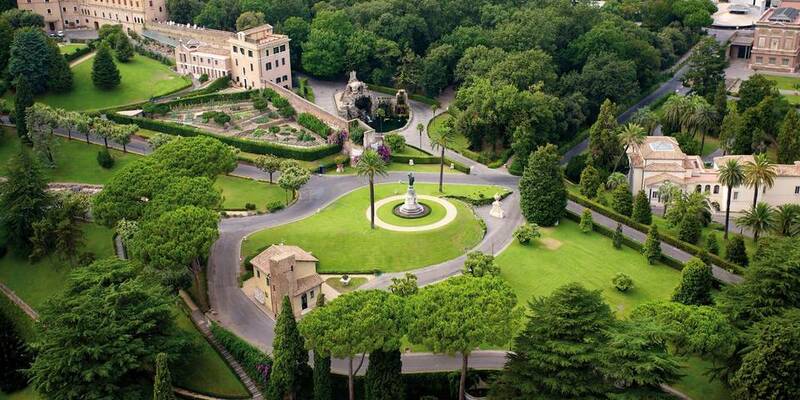 Gardens of the Vatican are one of the most protected places in the world. They considered as the most beautiful gardens in Europe. There, people with special rights can perfectly relax among greenery and silence. Moreover, 20 gardeners take care of these gardens on a regular basis. Another option is to take guided tour from the official website for groups of up to 15 people, who desire to visit the Vatican museums or the Vatican Gardens, which is available in particular time and days of the week. You should check in advance the availability of tickets for your dates. It is definitely worth to visit the gardens. Entry to the Vatican Museums, the Sistine Chapel, St. Peter’s Basilica and the Vatican Gardens is permitted with a strict dress code. Males need to wear long pants and at least short sleeves, while women shouldn’t have shoulders or knees showing. The dome of the cathedral is Rome’s highest viewing platform. You can buy the ticket right before climbing there. The price is 8 euro by foot and 10 euro with the use of an elevator. Also, you can get to the dome only from the cathedral. In the afternoon there can be a queue of up to 30 minutes of waiting. There are lots of Vatican City Guest Houses, suites and charming 3, 4 or 5-star hotels in Prati area. Moreover, you will find many attractions in this area and there is an excellent access to other parts of Rome via public transport. 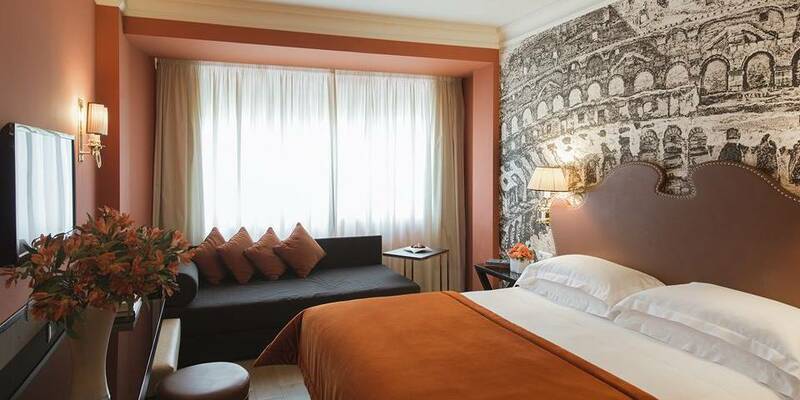 Gran Melia Rome offers elegant rooms with views of the Vatican, Castel Sant’Angelo or the hotel’s garden. 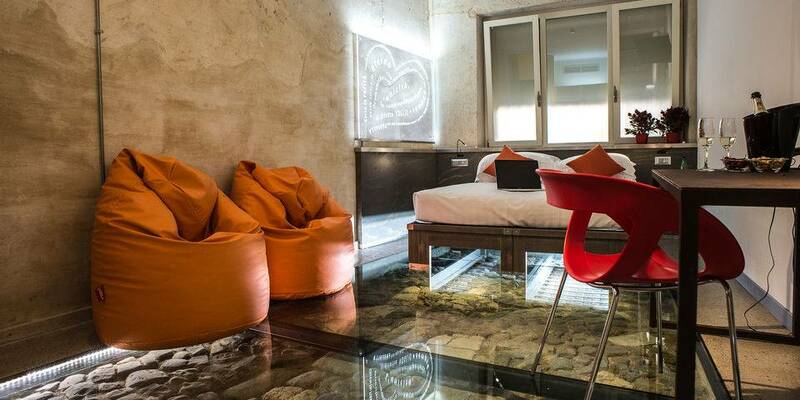 This 5-star hotel has on-site spa with an outdoor swimming pool. It is located in 801 m from St Peter’s Basilica and in 10-min walk away from famous Trastevere area. Hotel La Rovere is only 651 m from St Peter’s Square. 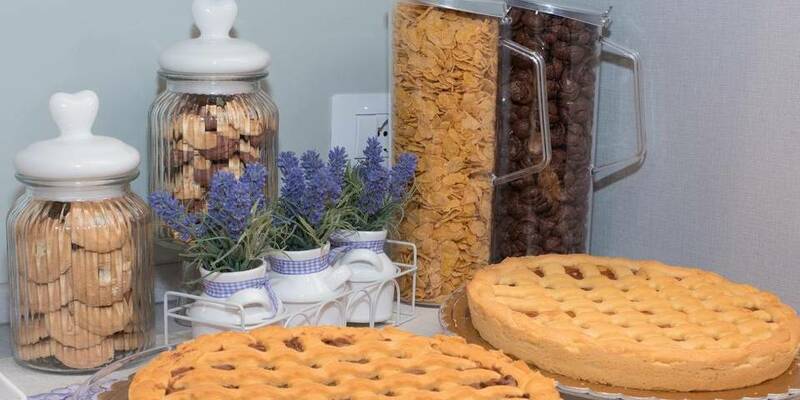 It offers modern rooms and a continental breakfast with Italian pastries, cereals and different drinks. Some rooms have spacious private terraces with tables and chairs. Starhotels Michelangelo Rome located right next to the Vatican City and a 10-min walk from Saint Peter’s Square. There are rooms with classic decoration and air conditioning. Moreover, the hotel is just under half a kilometer from San Pietro Train Station. Hotel Paolo II located in a building from the early 1900s and offer accommodations in a quiet area of Rome. There is only 15-minute walk to the Vatican Museums. All rooms have a flat-screen TV and air conditioning. 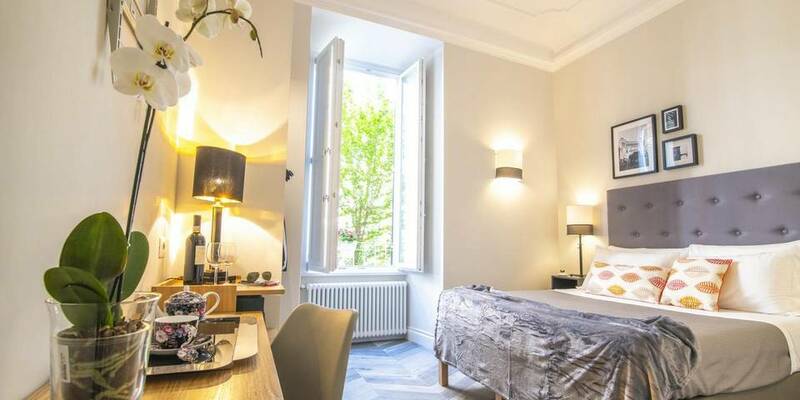 B&B Fantasie Romane located only 366 m from St Peter’s Basilica. 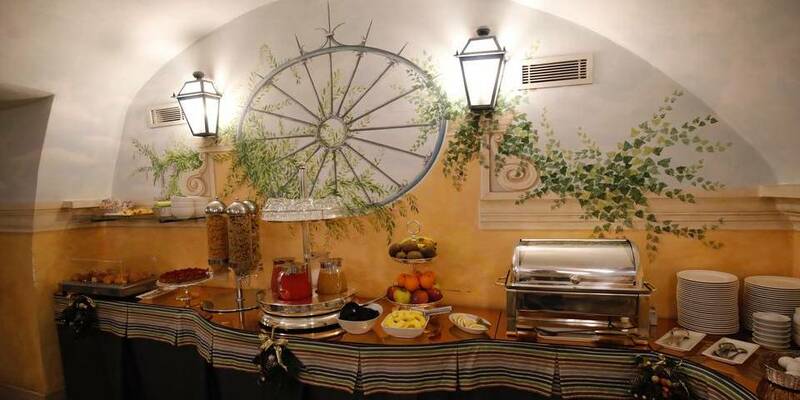 It offers a buffet or Italian breakfast. Moreover, it is an excellent choice for travelers interested in museums, art and culture. Eccelso Hotel located only 366 m from Vatican Museums and 458 m from St Peter’s Square. This is the 3-star hotel beautiful rooms and all amenities. A la carte breakfast is available daily at the property. Sant’Anna Hotel is a 17-th century building, located just 398 m from Castel Sant’Angelo and less than a 10-minute walk from Ottaviano Metro Station. 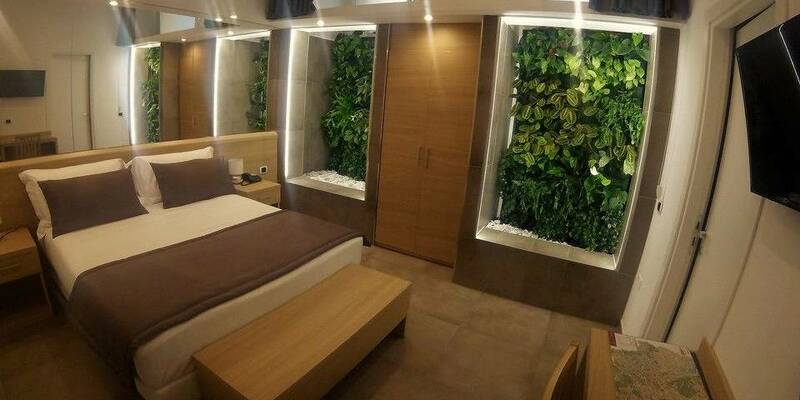 There are elegant rooms with all amenities. Moreover, this is a nice choice for travelers interested in Italian culture, art, and museums.